Show some pride for your favorite brand with the Tommy Hilfiger® Lou lace-up sneaker. Faux-leather upper. Brand detail on side and heel. Traditional lace-up closure. Textile lined collar. Soft textile lining. Lightly padded footbed. Durable rubber outsole. Imported. Measurements: Weight: 12 oz Weight of footwear is based on a single item, not a pair. 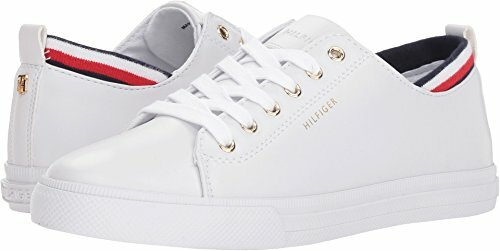 Show some pride for your favorite brand with the Tommy Hilfiger® Lou lace-up sneaker. Brand detail on side and heel. Textile lined collar. Soft textile lining. Lightly padded footbed. Durable rubber outsole. Imported. Measurements: Weight: 12 oz Weight of footwear is based on a single item, not a pair.